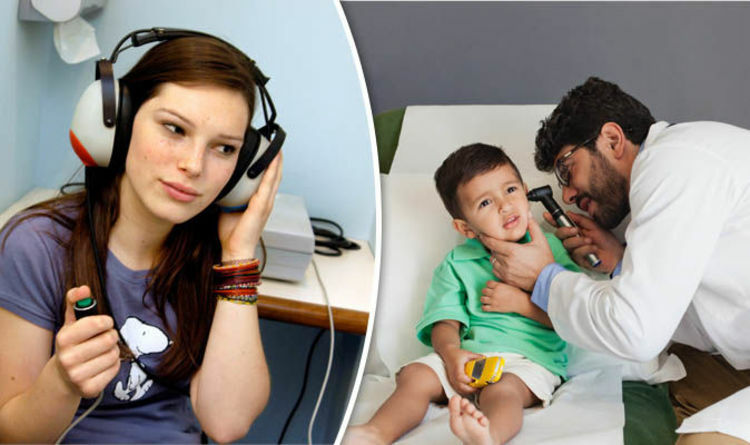 As many as seven per cent of children suffer Auditory Processing Disorder (APD), a condition where the brain fails to process sounds properly. Experts hope the new diagnostic method will give clinicians the information they need to help parents and teachers to provide support so victims are not left behind at school or socially. Sufferers of APD, which can affect people of all ages, appear to have normal hearing when assessed using a standard test. But they have difficulties making sense of sounds, including speech. The condition can present lifelong difficulties if undiagnosed, affecting communication, learning and social skills because sufferers do not understand speech clearly. Now after a study funded by the charity Action on Hearing Loss, researchers at University College London hope to develop alternative tests to diagnose APD. Dr Ralph Holme, director of research at the charity, said: “Diagnosing APD is difficult as there is no gold standard test or set of criteria that can be definitively used at the moment, which means many children are not identified and they often struggle at school. If someone is listening to a person talk close to a source of background noise, it makes it harder to understand what he or she is saying. When the person talking and the source of background noise are further apart, the brain more easily recognises and separates them out. The brain can then focus on one while ignoring the other, meaning it is much easier to understand what the person is saying. The phenomenon is known as “spatial release from masking” and is related to the brain’s ability to hear sounds in three dimensions. APD sufferers struggle with this kind of listening, so accurately measuring a child’s ability to do so could be a way to diagnose the condition. Auditory processing difficulties can also affect older people who have no detectable hearing loss because as the brain ages its ability to process sound deteriorates. To help fund cures for hearing loss call Action on Hearing Loss on 0333 320 1733 or visit actiononhearingloss.org.uk/donate. To donate £5 by mobile phone text Hear12 £5 to 70070.